Our product range includes a wide range of feeder pharmaceutical machine brushes and draw brush with white soft bristles. We are exporting & supplying wide range of Feeder Pharmaceutical Machine Brushes. These industrial pharmaceutical machine brushes are made as per GMP Standards’ requirements. 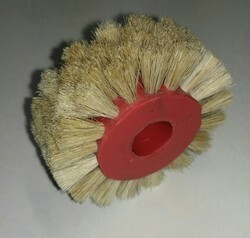 We are exporting & supplying best quality Draw Brush With White Soft Bristles. Applications: • Pharmaceutical industries in tablet packing machines. Looking for Pharmaceutical Machine Brushes ?